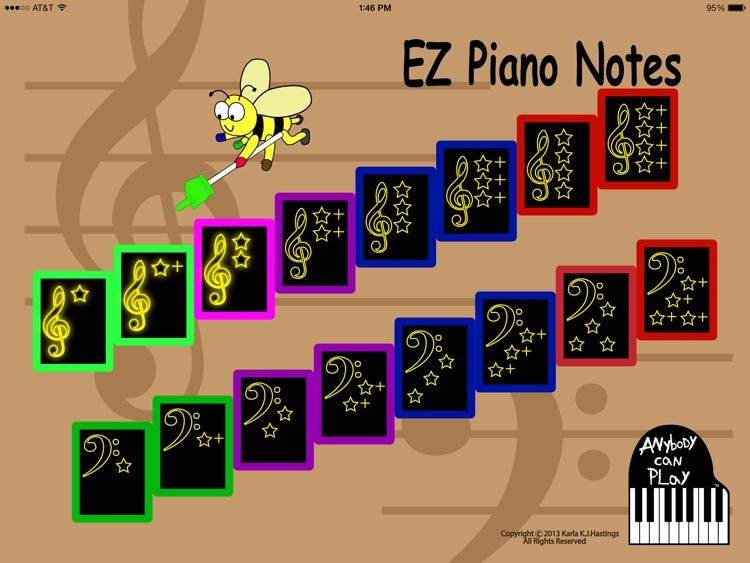 In a game-type format, EZ Piano Notes gives the beginning pianist an appealing and motivational way to read a note, then play the proper key on the piano/keyboard. 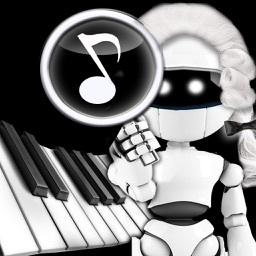 The great benefits of learning to play the piano are derived mainly from the mastery of simultaneous complex skills. Some of these skills - such as note-reading - are tedious, but essential to learn! 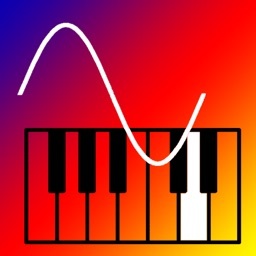 This app develops instant note recognition with digital reaction to its corresponding key. (Naming the note/key before playing the key is a “translation” step, not part of this process and therefore purposely omitted.) Busy Buzzy Bumblebee and Pointer offer friendly assistance every step of the way - pointing out the correct key as needed and giving instant gratification for correct responses (or comically “erasing” an incorrect response, giving the user other chances to touch the correct key). 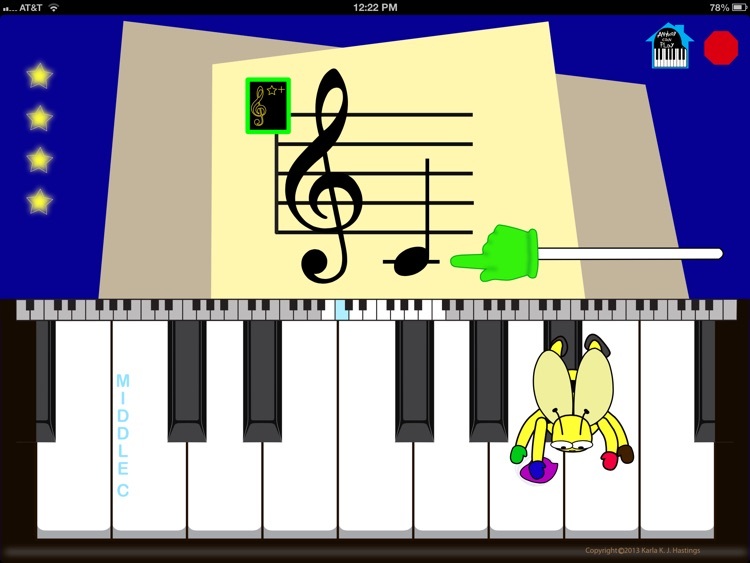 The first level of both the treble and bass 20 note games teaches the five notes of each clef found in many beginner piano books. 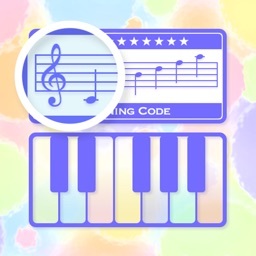 Each additional level adds five to six notes. In every game the first 15 notes are new notes and the last five are review notes from previous games. 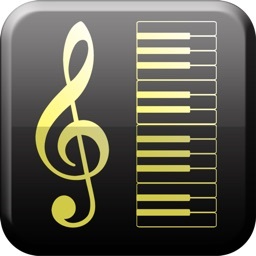 The only audio piano sounds are for the indicated notes, subtly reinforcing proper pitch with the visual note/key. Although not graphically indicated as a separate game, after the user completes the 4 Star Plus game with no errors the next game uses a mixture of all the notes for all 20 tries. 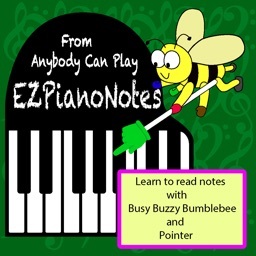 Again, EZ Piano Notes lets the beginning piano student (of any age young or old) - or a returning piano student wanting to review note reading skills - learn to quickly recognize a note and play the proper piano key with enjoyable, non-intimidating help from Busy Buzzy Bumblebee and Pointer! Screen Shot 1 depicts the home page with 3 icons lit. When the user completes a game with no errors, the icon on the home page lights up. 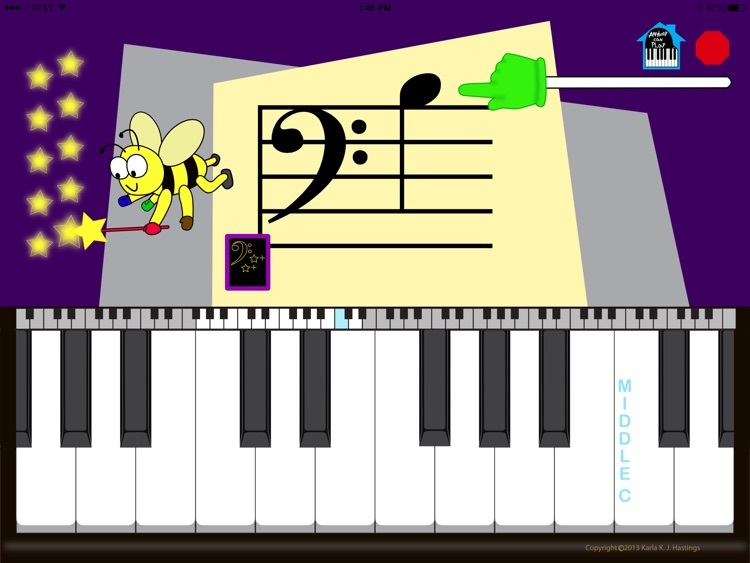 Screen Shot 2 shows Busy Buzzy Bumblebee erasing a mistake. Screen Shot 3 shows Busy Buzzy Bumblebee planting a star for a correct response. 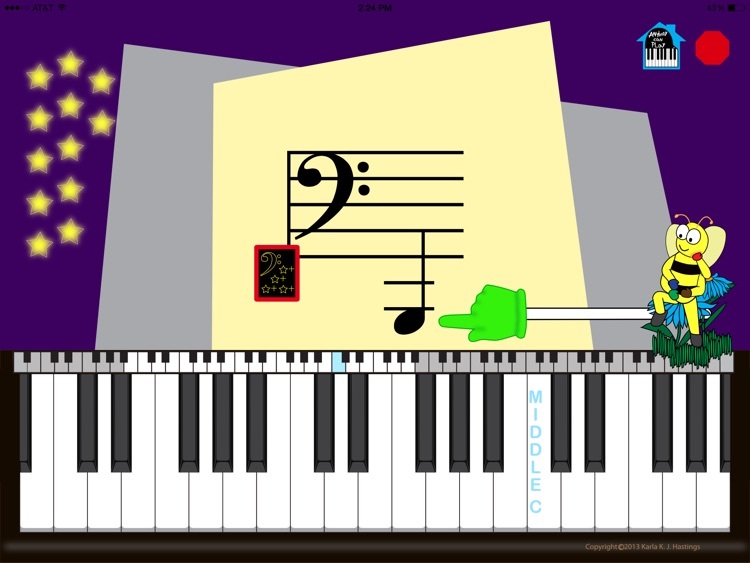 Screen Shot 4 shows Pointer pointing to the correct key for the displayed note on the treble staff. 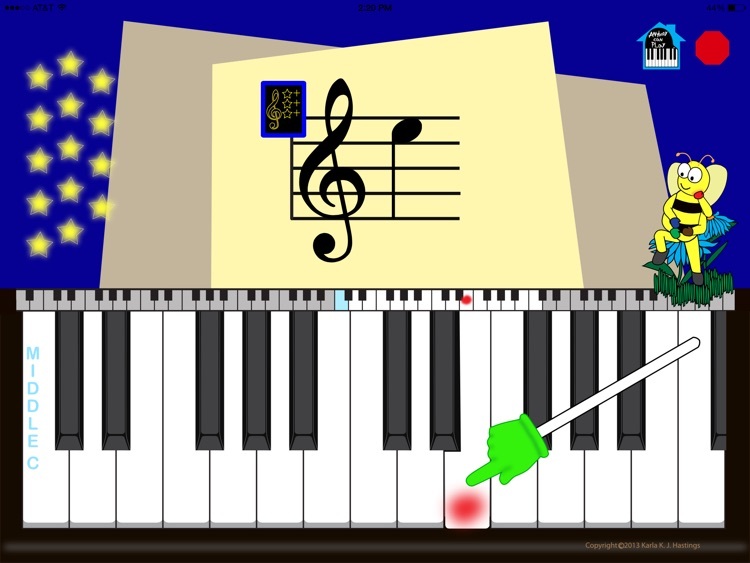 Screen Shot 5 shows Pointer pointing to a note and waiting for the user to tap the corresponding key. 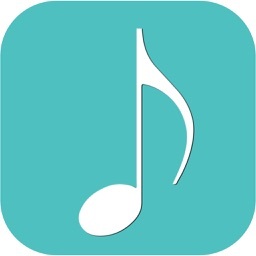 A very short free demo is included, then low cost in-app purchase is available. This product includes software developed by the OpenSSL Project for use in the OpenSSL Toolkit (http://www.openssl.org/). This product includes cryptographic software written by Eric Young ([email protected]).